Sports Illustrated keeps you up to date with Olympics podcast from Brazil featuring interviews, analysis and more. 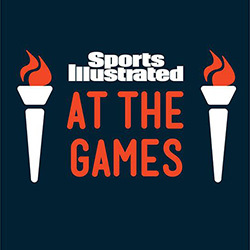 Sports Illustrated At The Games is SI’s Olympic podcast feed, which will include a daily podcast called Very Olympic Today, featuring news and analysis on the action coming out of Rio, as well as a few other podcasts about the Summer Games. Subscribe now to Sports Illustrated At The Games in iTunes and SoundCloud (check back soon for Stitcher and Google Play Music) to get every one of SI’s Olympic podcasts delivered to your feed.